Need a Coffee K-Cups Deal? Look what we found for you on Amazon! Hurry and get the Amazon Brand – 100 Ct. Solimo Medium Roast Coffee Pods, House Blend, Compatible with 2.0 K-Cup Brewers (over 2,000 reviews) today for as low as $21.64 from Amazon when you choose Subscribe & Save with at least 5 subscriptions in one month and clip the big $3 off coupon. That’s less than 22¢ per cup and way less than the “stock-up” price of 40¢ per k-cup!! There are several varieties available at different prices! Quickly see them all here. Check out all of the recent Amazon deals here! Prefer it sooner? Choose 1-time purchase & pay $28.99 (29¢/K-Cup). Amazon Prime members get FREE 2-day shipping!! If you are not a Prime member, get FREE shipping when you purchase $25 or more of eligible items across any product category. Check out the Coffee K-Cups details below. If you’re not completely satisfied we’ll refund your purchase. No returns necessary. Solimo House Blend Single Serve Cups are medium roast coffee pods made with a blend of 100% Arabica beans. Compatible with 1.0 and 2.0 k-cup brewers, make your cup to order with Solimo coffee pods. 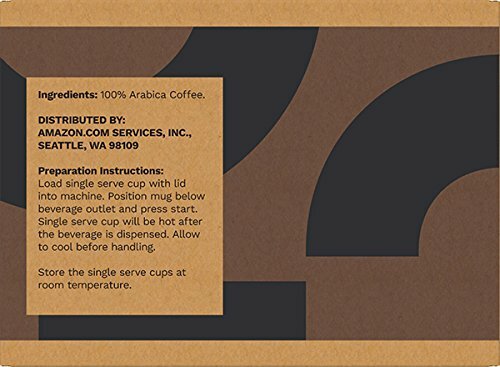 Buy the Amazon Brand – 100 Ct. Solimo Medium Roast Coffee Pods, House Blend, Compatible with 2.0 K-Cup Brewers from Amazon. Next articleChuck E. Cheese Coupons – FREE Personal 1-Topping Pizza (& FREE Unicorn Churros)!